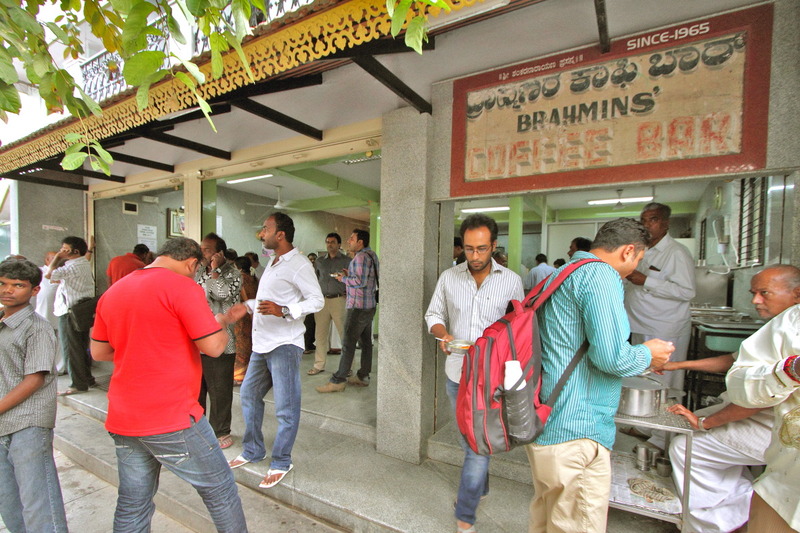 What are the options available to Bangaloreans when they want to grab a quick nutritious bite, without it being heavy on the pocket? The simplest solution presents itself before the hordes of hungry tummies in the form of darshinis. These small to medium-size food outlets are the hope and lifeline of thousands of local and immigrant populations. Fast-paced lives in the city sometimes do not leave time for cooking at home or eating out at restaurants all the time. That is where darshinis, with their fast, self-service counters serving varieties of freshly prepared dishes, come to the rescue. The menu offers a delicious platter of local cuisine, mostly accompanied by North Indian and Indo-Chinese dishes, desserts and snacks. The 80s saw a counterculture of these popular eating joints mushrooming all across the city. Started by entrepreneurial restaurateur Prabhakar Rao, a darshini is a simple and affordable alternative to the traditional serviced restaurants. The idea of eating at a darshini is straightforward. Look up the menu, choose what you want to eat, pay for it at the billing counter and take the bill slip to the common serving counter. The kitchen is often openly visible right behind the serving counter. One can actually see one’s order getting materialised right in front of the feasting eyes. In a matter of minutes (sometimes, even seconds! ), your order is served right up- piping hot and fresh on green plantain leaves! Then, proceed to eat at your heart’s content at the cold, steel tables that have been joined together. A feeling of communal satisfaction pervades the atmosphere, as you stand and eat together with other hungry patrons. Bisi bele bath, chitranna, puliogare, idli vada, rava idli, thatte idli, plain dosa, masala dosa, onion uttapam, roti curry, kesari bath, curd rice, South Indian/North Indian meals, gobi manchurian, noodles, fried rice- one is often spoilt for choice and even more so nowadays. The darshinis keep updating their repertoire with non-traditional dishes like cheese masala dosa, schezwan noodles, alu dum pulao etc. 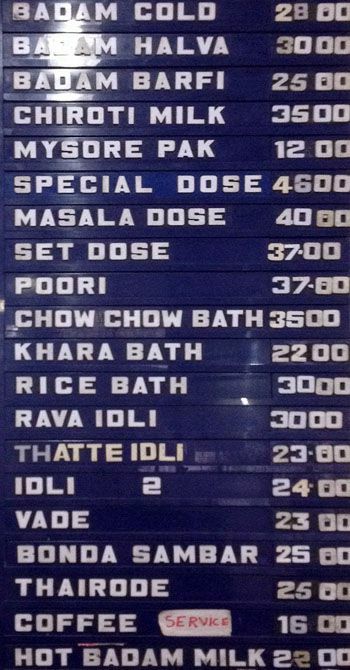 All you need is IDLY VADA+KESARI BATH! 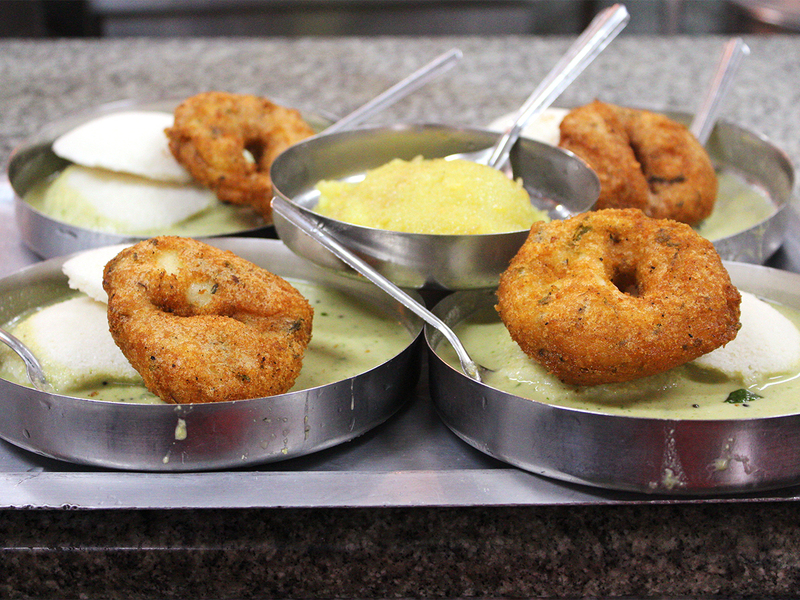 Most of the dishes are priced under Rs: 100, which makes it everyman’s favourite hangout. A majority of the darshinis have embraced latest trends as well to keep up with the modern times. 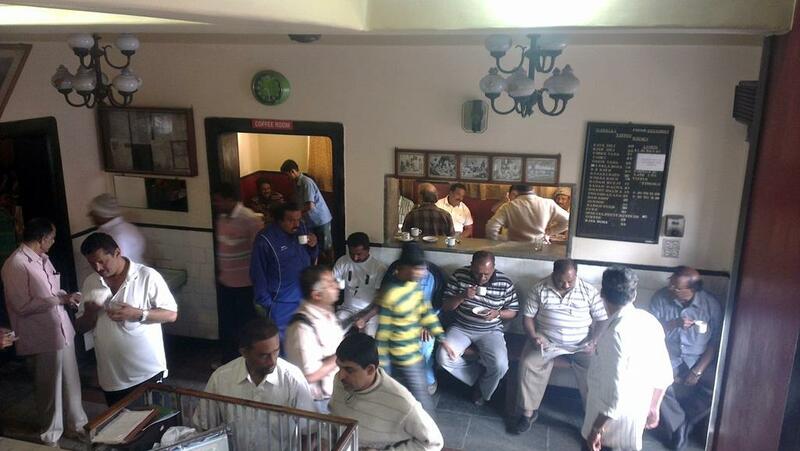 Some darshinis offer ‘family service’, where patrons get a sit down option. Orders are taken by waiters in monochromatic livery, with the darshini’s initials embroidered on their pockets or lapels. Food is then brought straight to the table; just like a regular restaurant. They have a strong presence on food review and delivery apps alike. Many darshinis also accept meal coupons instead of cash payments. 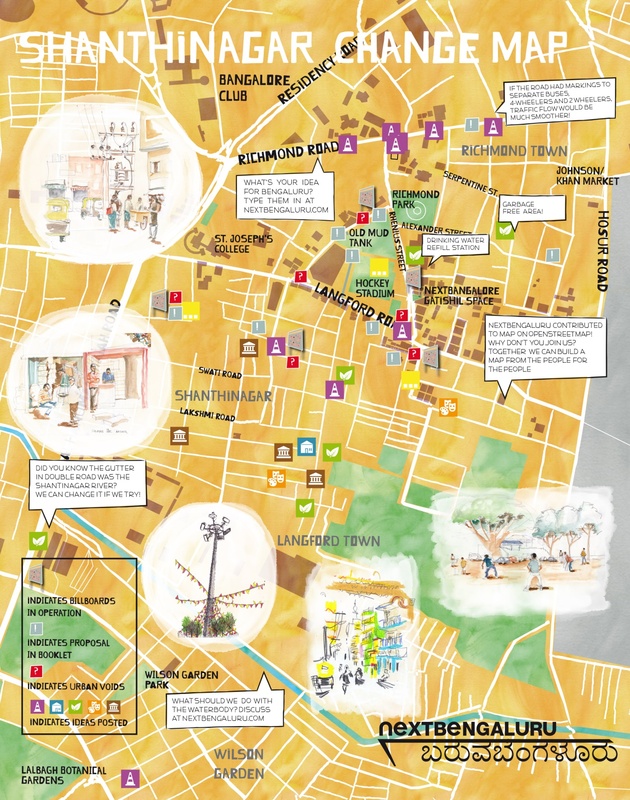 These humble, unpretentious establishments are synonymous to Bangalore and are an inevitable part of its cosmopolitan culture. The laidback indulgence of a hot meal served without hassle is a welcome respite to the denizens of this bustling city. And so, top up your meal with some boiling hot filter kaapi . You walk away a rotund belly and a burp of intrinsic satisfaction, musing on free thoughts inspired by this frugal culture. Darshinis invoke the spirit of the true blue Bangalorean and that hunger resonates with evergreen hospitality.